A money pit: something that costs a lot of money over time (more money than was first expected). A pit is a hole the ground. 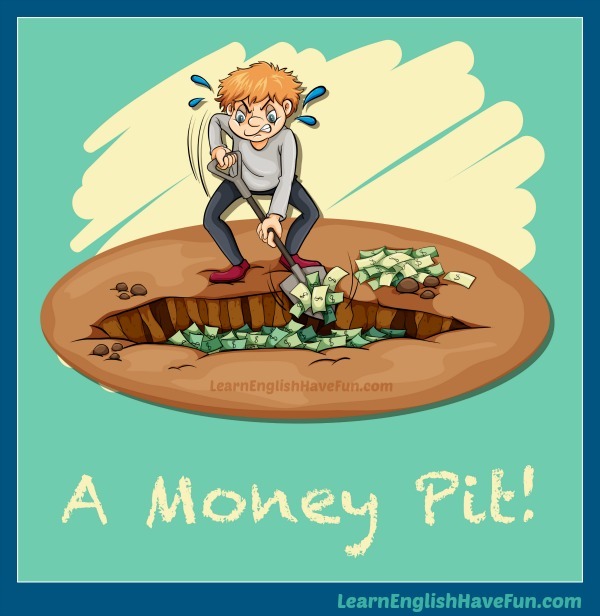 In the picture above, the man is digging a pit and throwing money in it. Who would do that? Nobody (unless perhaps they were trying to hide the money). No one wants to bury money in the ground. However, that's what it can feel like when you buy something that you have to keep spending more money on to improve it or keep it ready to use. I bought this used car because I thought it would be more affordable but it's a money pit requiring frequent repairs. Buying a home to fix-up can be a money pit so be very careful to have a good inspection. A vacation home is often a money pit because you have to do a lot of work to maintain it just to use it a month or two each year. I never thought a gym membership could be a money pit but there's one charge after another for the locker, towel service, gym clothes and fees for extra classes like Pilates reformer. My husband's motorcycle is a money pit but he loves riding it so what I can say to him? After the subway system became a money pit, politicians fought about whether to raise money for repairs or reduce service hours. Your internet "business" is a money pit—you're constantly buying new things to get your business started but you still haven't sold anything. We wanted a sailboat but we're very disappointed because it's a real money pit with fees for insurance, docking the boat, upkeep, permits, etc. It still hurts me deeply but I had to finally stop all contact with my 34 year-old son. Drug addicts are emotional vampires and money pits! 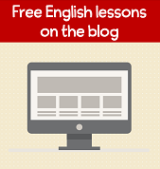 If you found this idiom useful, sign-up for my free newsletter to learn when I add new updates to my website. Do you own something that is a money pit? I'd love to hear about it. Write an example sentence in the comments below and I will give you feedback. Practice is the best way to improve your English and remember new vocabulary and idioms.